This winter was so drab. Seemed like the sun seldom shone — and it wasn’t my imagination. I don’t burn all the sticks/small logs I find in the yard, for obvious reasons. 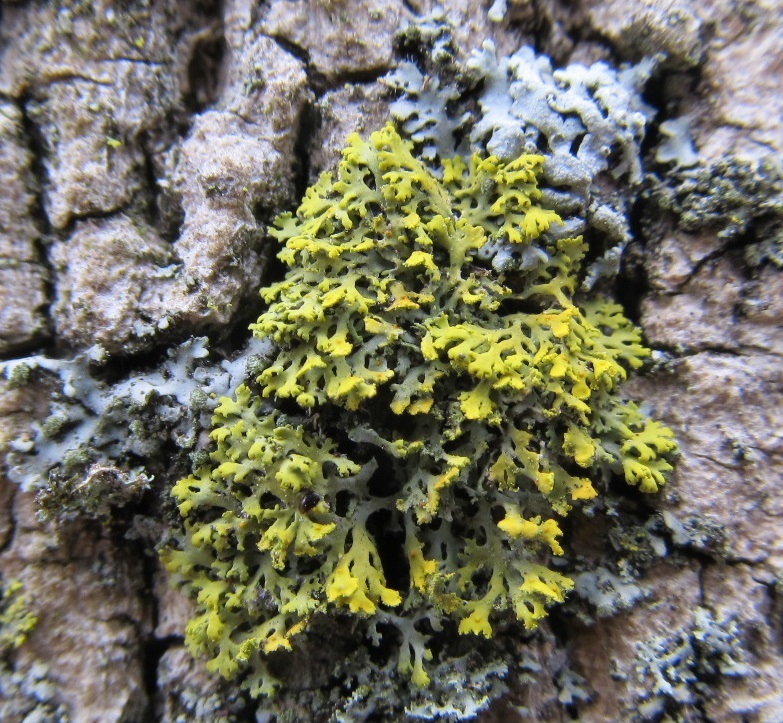 I wonder if anything lived in the cavity of this blister lichens (Physcia stellaris)? here the blister lichens grew with the Candelaria concolor lichen. It commonly grows on elm, ash and sugar maple trees. and need planted about five inches deep, from base of the tuber to the surface if of the soil. allow the plants to die back naturally… and the patch will spread. I photographed these on February 19. Heavy rain fell in sheets. I took pictures from the picture window near the computer. I never could figure out what was in this picture besides bricks. The colors and designs kept me spell-bound in this one. Then I solved the mystery by rotating the picture above. Then it all made sense with the tree was standing upright, instead of reflecting.